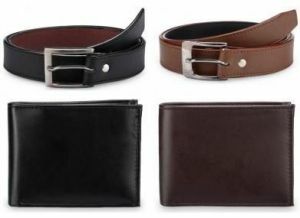 Every man cannot go out of the house without his wallet and a belt. This can be the best gift you can give it to your friend which come in a combo. You do not have to search for different products. Total Belt length is 41 inches. Fits to waist size from 28-36.